Urban planning processes have become increasingly complex and sophisticated. Decision support systems can be useful aids to decision-makers in their assessment of the impact of their decisions. 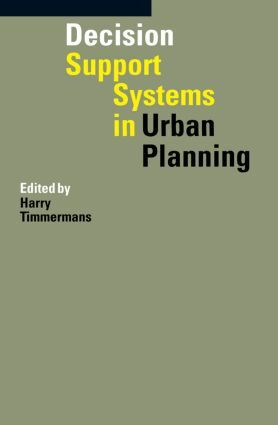 This book, available in paperback for the first time, presents a set of papers providing examples of innovative research in decision support systems in urban planning from throughout the world. Examples apply to different areas of urban planning from site selection, environmental management, transport, etc. The chapters in the book address the many components of decision support systems, including issues in database management, advances in model-building techniques and application of the systems.